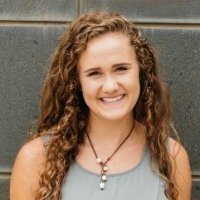 Paige is a current junior majoring in Biomedical Engineering with a minor in Global Engineering and concentrations in Neuroengineering and Pre-Veterinary studies. She thinks the brain is rad and would like to contribute to the growing body of research produced by brains learning about brains (it gets trippier the longer you think about it). As a second-year executive board member, Paige has earned the nickname “Tiny Rickus” by doing nothing other than resembling advisor Dr. Jenna Rickus. They both have curly hair—it must be the hair. A retired competitive soccer player due to 2 ACL reconstructions, Tiny Rickus has lived in the exotic locales of Illinois, Switzerland, Miami, and Indiana, once rode a dairy cow, and has a scar from an unfortunate incident with a pelican. In the time Paige decides to declare “free,” she enjoys reading, drinking coffee, petting cats, reading while drinking coffee and petting cats, drinking coffee while petting cats and reading, and petting cats while reading and drinking coffee. Someday, she hopes to cure ALS, or Lou Gehrig’s disease, while reading, drinking coffee, and petting cats. Caleigh Roleck is a junior in biochemistry. 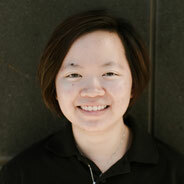 This year, she has the honor of serving as the project director for Purdue’s iGEM project. When not doing iGEM, she also conducts research on Agrobacterium-mediated genetic transformations of plants and serves as the treasurer for Purdue’s Pugwash chapter, an organization dedicated to the promotion of ethics and social responsibility in science and technology. After graduation, she hope to earn a PhD in biochemistry and then pursue a career as a government or military scientist. She would like to thank Red Bull for fueling her life*. *Caleigh Roleck and Purdue iGEM are not sponsored by Red Bull, but that would be pretty cool. 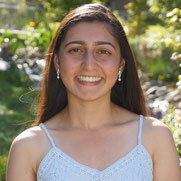 Archana is a junior majoring in Genetics and pursuing a minor in Biotechnology. As a third-year iGEM member, she holds the position of Treasurer and is determined to have the team be rolling in dough. 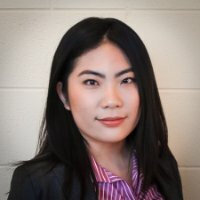 She is currently involved in a research project working with protein that has similar characteristics to CRISPR. After completing her studies, she hopes to research and cure genetic mutations. Archana loves jamming out to indie bands ranging from the 60s to modern day and drinking coffee in hipster looking cafes. Ask her to travel with you to a big city and she'll agree in a heartbeat. Melissa is a senior majoring in ABE with a concentration in cellular and biomolecular engineering. 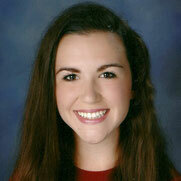 This is her third year on the executive board and her first year serving as Director of Club. In the time not dedicated to school work or all things iGEM, Melissa enjoys hiking, reading newspapers, and Wikipedia-editing. Vi Ka (yes, there's two parts to her first name; no, it's not a typo) is a junior majoring in Genetics and is also pursuing a minor in German. Originally from Malaysia, she spent her middle school years in Shanghai, and her high school years in Hong Kong. She thinks her British accent is pretty on point, but all her friends disagree. Her aspirations for the future include getting a M.S, using her synthetic biology skills to make herself just-a-smidge taller, and getting a Malamute. She also really, really, REALLY enjoys eating sushi and is a self-styled "connoisseur of food", and thinks that the best sushi is torched salmon on rice. Vi Ka also enjoys playing LoL in her free time, and her proudest achievement so far is getting out of B5. 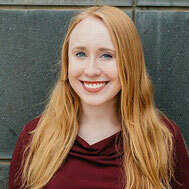 Kathryn Atherton is a junior studying Biological Engineering with a concentration in Cellular and Biomolecular Engineering; she is also working toward minors in Spanish and Biotechnology. 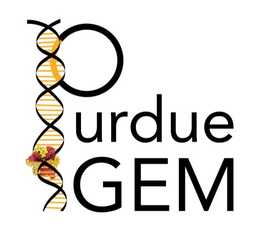 Along with her involvement with iGEM, she is a Supervisor for Purdue's new student orientation program, Boiler Gold Rush, and the All Member Meeting Chair for the Society of Women Engineers chapter on campus. Kathryn loves to travel as far away as financially possible, binge-watch Netflix (Gossip Girl and One Tree Hill are two of her favorites, but she is always looking for new shows and is open to recommendations), and plan out the rest of her life on Pinterest while hoping that she will eventually make enough money to fund her expensive taste. Kevin Fitzgerald is a sophomore majoring in biological engineering and minoring in computer science. By fully utilizing an arsenal of cynical quips, sarcastic humor, and blatant pessimism, Kevin plays an indispensable part in maintaining team morale. When Kevin isn’t moving liquids from one tube into another tube containing different liquids, he enjoys playing the guitar and listening to music. 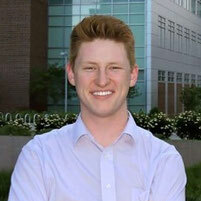 Kevin believes that synthetic biology will pave the way for the next generation of important innovations. He finds comfort knowing that, even if he never has a great idea of his own, there’s a good chance he’ll be at least loosely associated with whoever does. Nick is a junior from St. Louis dual majoring in Cellular and Biomolecular Engineering as well as Biological Sciences with an emphasis in Neurobiology. His future plans include getting his PhD in neuroscience and becoming a professor. This is his first year in iGEM and he is anxious to learn about synthetic biology and be involved in the new team project. When Nick is not in the lab or on campus studying, he can be found studying at his apartment, eating, watching St. Louis Blues hockey, or any combination of those. You will also never see Nick without a cup of coffee in his hand because you know, engineering. James Welch is a 2017 graduate in Cell, Molecular and Developmental Biology with minors in creative writing, biotechnology, and Spanish. He finished the unmitigated struggle of graduate school applications and is looking forward to spending more time not writing essays. He has been involved in every level of iGEM and the Biomakers, serving as an HP committee member, executive board member, and trainer for new members. Seeing the growth of this amazing group of student leaders for the last three years, James is proud to see what they have accomplished and believes they will succeed beyond all expectations. Suraj (sue-rudge) is a senior in Biological Engineering with a concentration in Cellular and Biomolecular Engineering. He was the Treasurer of Purdue Biomakers 2016 and is pleased that he doesn’t need to check account balances and budgets like a stockbroker every day. His love for synthetic biology first bloomed over in-depth conversations of virus-based gene therapy with his high school biology teacher. His legacy of being the “Virus Guy” still carries on with his high school friends to this day. He is also referred to as Sir-idge, Lieutenant Surge, Suga Mo’Honey, and DJ Mohani: Mohani mo’ Problems. 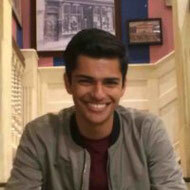 Suraj plans to pursue a M.S in Biotechnology, and work for a major biotechnology or pharmaceutical firm one day. His hobbies involve Netflix binges, obsessing over everything that is cooking, making good Arnold Schwarzenegger and Kermit the Frog impersonations, and doing VERY on point Spongebob references in daily life. Recently, his likes have evolved to adopting habits from his close friends and peers, pestering a past president named Hana Kubo, and enjoying dank memes with one Arren Liu. Someday, Suraj hopes to secure his dream career, live anywhere that is sunny (cough* California cough*), and name an adopted pit bull “Mr.Worldwide”. Hana is a senior in Genetics, and was the President of Purdue Biomakers 2016. She now serves as a Senior Advisor, because if she wasn’t involved in this club she would drown in her own pool of iGEM withdrawal tears. In her free time, Hana likes to make fun of Arren and his dank memes, wonder why her experiments in lab keep failing, and panic about what she will do with her life if she doesn’t get into graduate school. Hana is hoping to pursue a PhD to study molecular biology in endometriosis. Eventually she wants to become the coolest professor anyone has ever seen at *insert any university foolish enough to hire her*. If that plan fails, she is totally okay with becoming a full-time K-Pop connoisseur and fulfilling her destiny to become a crazy dog lady. Mark is a 2017 graduate from the Purdue Honors College majoring in Biological Engineering with a concentration in Biomolecular and Cellular Engineering. Mark has served as the president of the Purdue Biomakers, Purdue’s bioengineering team, a resident assistant in Shreve Hall, and has played clarinet for Purdue Bands and Orchestras. Mark currently serves as the inaugural Resident Education Assistant of the Purdue Honors College and Residences and a Junior Board member for the Purdue Foundation Student Board. He has conducted research at Columbia University and currently works with Dr. Jenna Rickus on analytical modeling of whole-cell biosensors. One of Mark’s favorite past times is existing, a hobby he picked up a few years ago and has decided he likes it enough to keep doing it for a little bit longer. 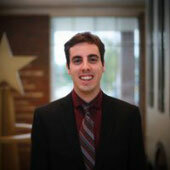 Mark is excited to close out his time at Purdue as he looks to pursue a Ph.D. in bioengineering following graduation.